Our mission is to provide a community focused art space that makes all feel welcome. We will help emerging artists by providing a platform with which they can propel their professional careers; and support the community by providing free events and workshops. Foxglove Gallery officially opened in December of 2010 after three months of planning and a lot of hard work! Foxglove was created by a group of people from Milwaukee, WI who came together to find a way to celebrate their love for art and for their community. 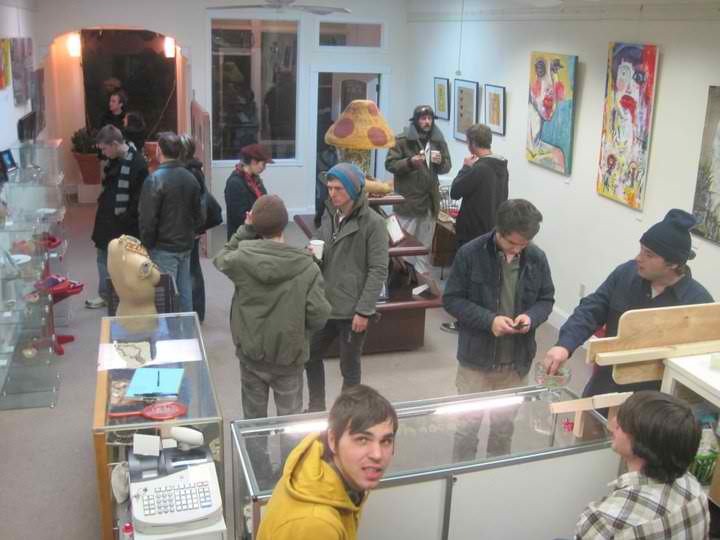 We are a collective art gallery focused on gaining exposure for independent local artists as well as being a host to a variety of events for the enjoyment of the people in our community.